Welcome to our new site! We hope you enjoy the improved experience. Order Your Pictures! 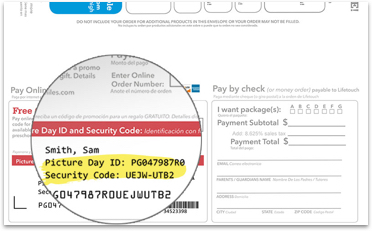 Enter Picture Day ID and Security Code from your order form. 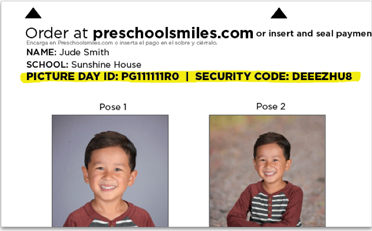 Find a Picture Day ID Unique ID at the top of order form specific to your child. Create an Account Keep all your preschool memories safe, reorder anytime, see past orders and get special discounts! To reset your password please verify your email. © 2019 Lifetouch, Inc. All Rights Reserved.